Premiering on March 10 at 8 p.m. ET is the Disney original TV movie Tangled: Before Ever After, which will then be followed by a series. Tangled: Before Ever After follows Rapunzel’s new life as a princess, how she adjusts, and how her magical long hair grows back. 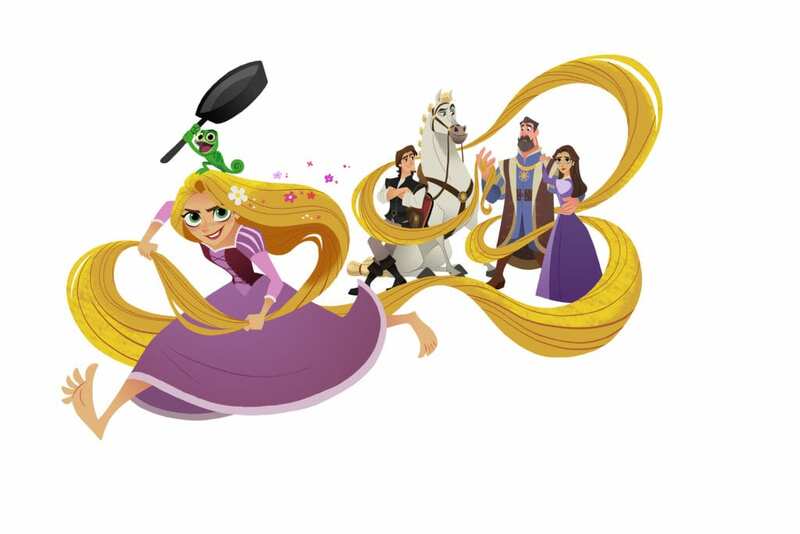 This will be followed by the series on March 24, which will show us everything that happened between the original Tangled movie and Tangled: Before Ever After. If you want to be sure to watch Tangled: Before Ever After online when it premiers, here is your guide. Read on to see how to watch the Tangled: Before Ever After live stream on March 10. Before you can watch Tangled episodes, you need to watch the Tangled: Before Ever After live stream, and DIRECTV NOW can help you do just that. This new service is streaming only, no satellite required. Disney is included in one of DIRECTV NOW’s package, so check out our DIRECTV NOW review to learn more. Their basic package starts at $35 per month for 60+ channels. There is sure to be a package that can allow you to watch Tangled: Before Ever After streaming as well as your other favorites. The service is still new, so features and devices are being announced. They do offer special deals on some players if you prepay for service, so have a look at those promotions. Watch Tangled: Before Ever After online free by starting with a FREE 7-day trial of DIRECTV NOW. Another choice for fans to stream Tangled: Before Ever After is Sling TV. This service offers many of the same benefits, and Disney is included in their Sling Orange package. To learn more about Sling TV channels, read our review. Sling Orange is just $20 per month. There is no contract and you can cancel at any time. They also have special deals with streaming players, like Roku and Apple TV. Or, if you’re a T-Mobile customer you might want to check out that promotion. Get the Best of Live TV for 30% off. Pricing is good for up to one year with this deal. Try Sling TV FREE for 7 days and watch Tangled: Before Ever After online free. We also want to mention PlayStation Vue as another choice to cut the cord and watch the Tangled: Before Ever After live stream. In many says, Vue is similar to the other options we’ve discussed, but there are some differences as well. Their base package starts as low as $29.99 per month, or $39.99 in markets with live local television access. Disney is in one of their packages, so check out our PlayStation Vue review to learn more and find out how to watch live at the Tangled: Before Ever After airtime on the network. But new users should know that there are mobile restrictions on streaming content. Your account is tied to your home location, so even with the mobile apps, you may not be able to stream Tangled: Before Ever After episodes. How Else Can You Watch Tangled: Before Ever After Online Without Cable? We were hopeful about giving you options to watch Tangled: Before Ever After streaming on demand, but we were unable to verify any options. Neither Hulu nor Amazon Prime Instant Video have a listing for the show. And, since it is so new, it won’t be available on Netflix at this time. Do you have more questions about how to watch Tangled: Before Ever After online without cable? Ask below.